Each year about 3 or 4 days before Wild West Frogfest and Rodeo we do what we call the walk through. 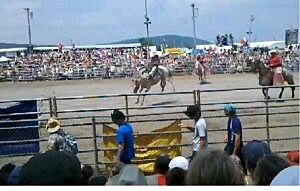 That was today at the Herkimer County Fairgrounds. It always seems so weird, the wide open grounds look so huge, then in comes the stage, vendor booths and rodeo. Here's a look at the fairgrounds now and what it will look like come this Saturday. 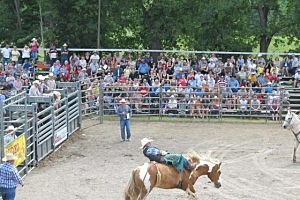 Check out video of the top bull rides from last year's Wild West Frogfest and Rodeo here. Tomorrow we'll walk through the Frogfest Stage.